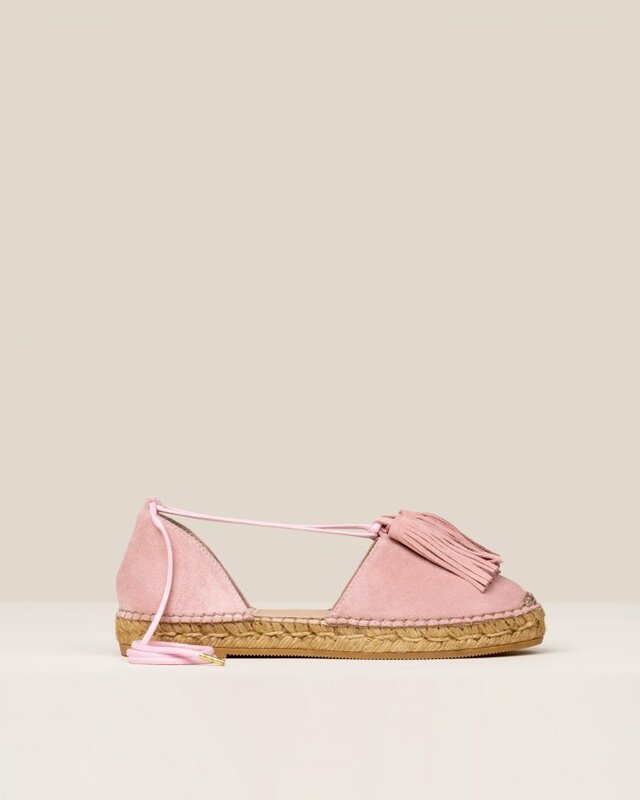 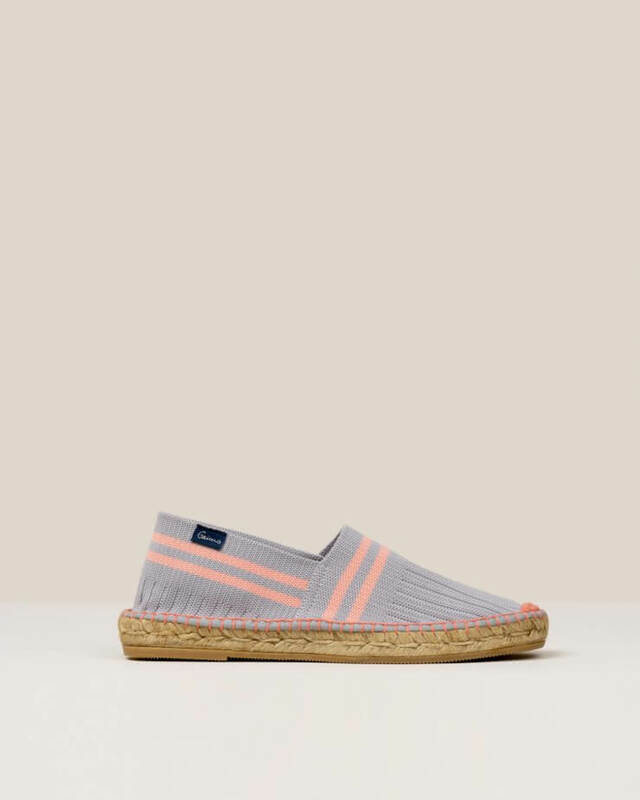 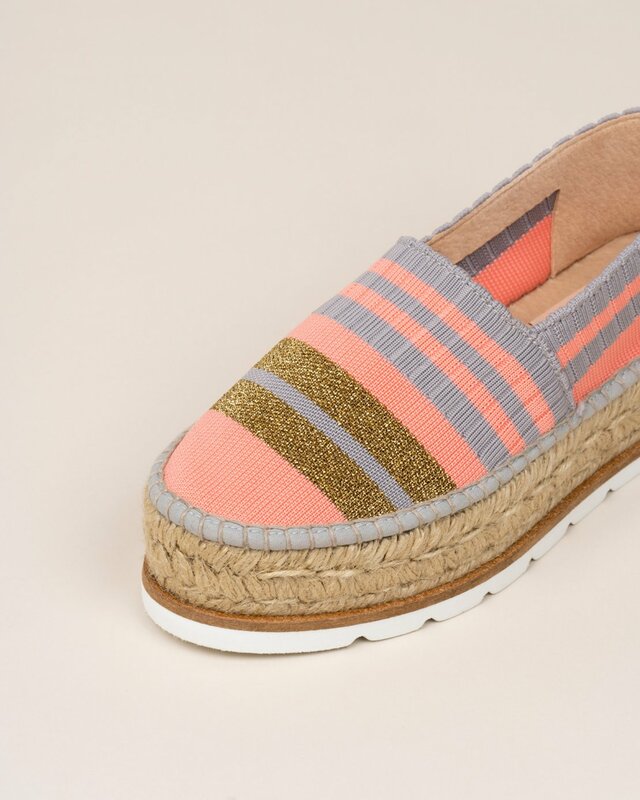 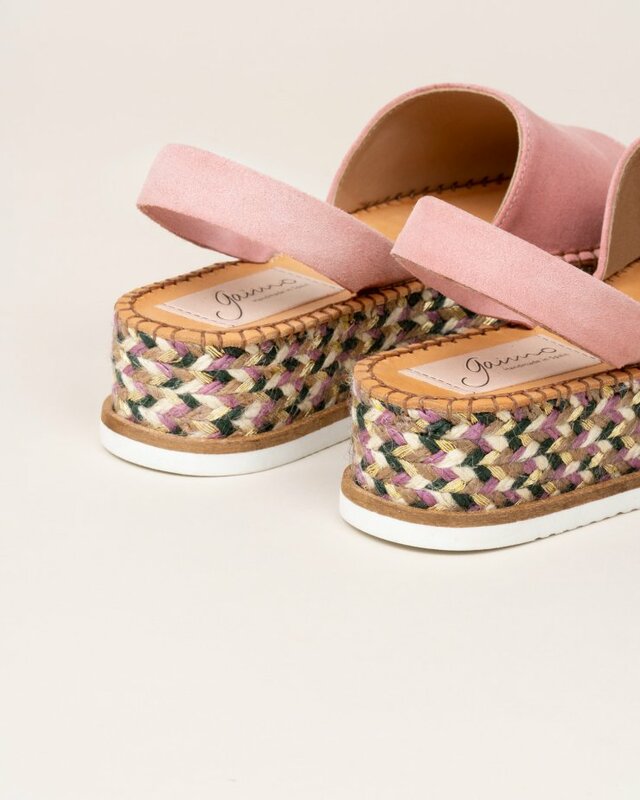 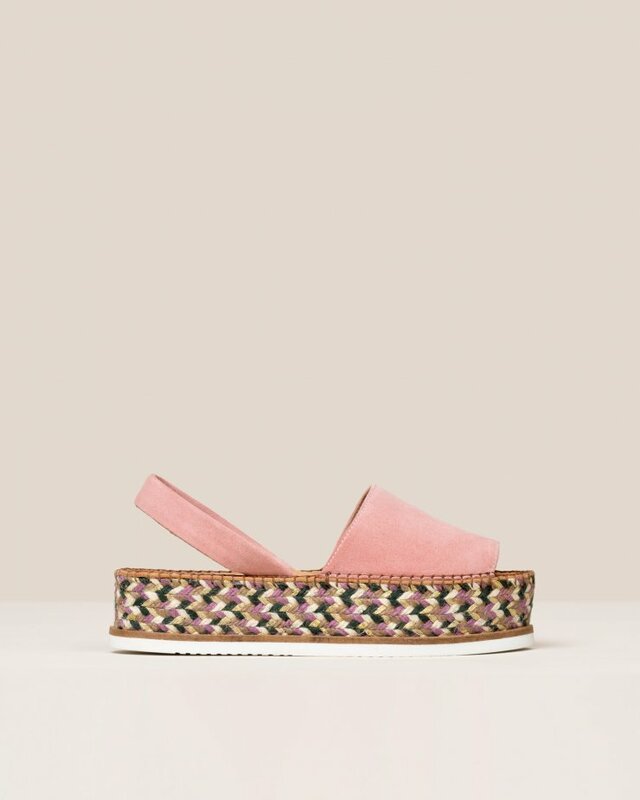 Pink and gold stretch closed espadrilles. 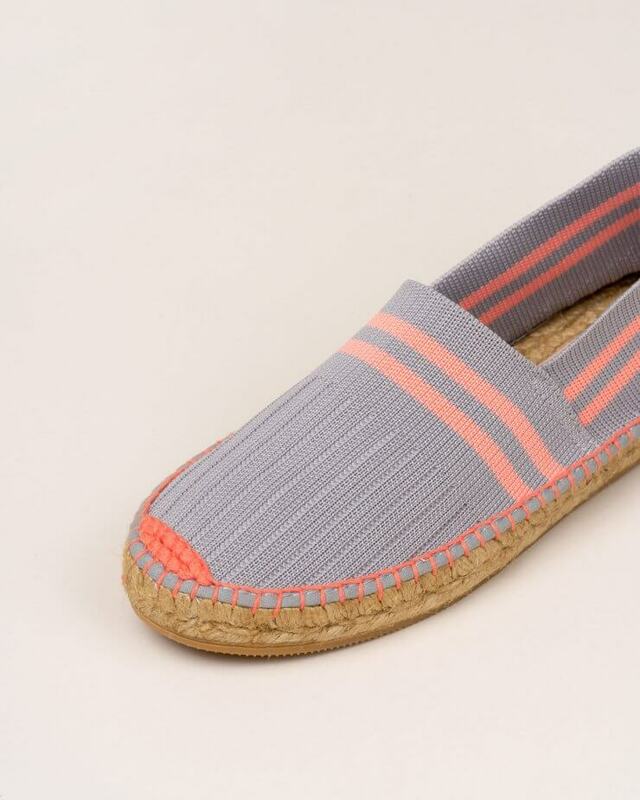 Sole in natural jute and white Rubber combo. 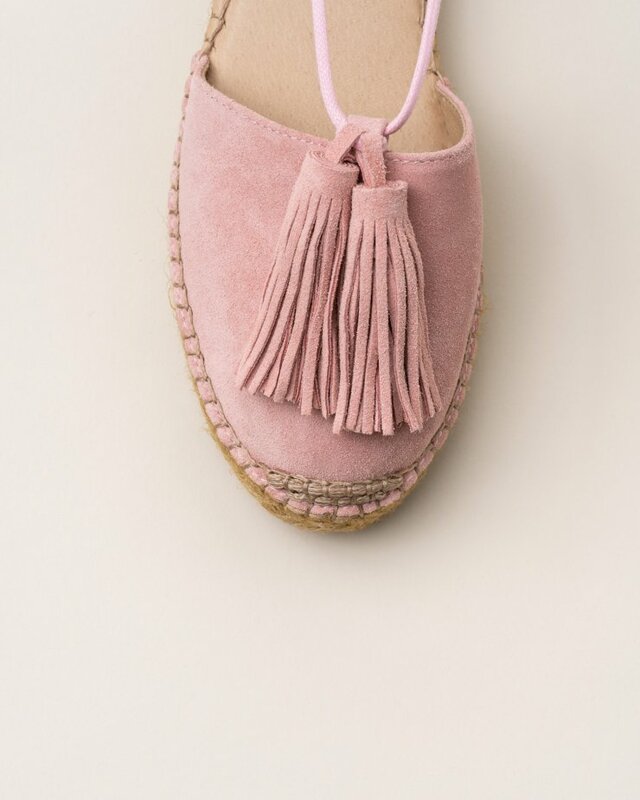 In this style we recommend selecting one size bigger.